Official bio + media kit. Margaret Welty is that rare combination of artist and mentor who can coach even the best, yet humbly guide the novice into competence and confidence. [Margaret’s instruction] made me feel very excited, and able to accept myself through art. This means freedom of expression for me and to let go of things I cannot control... watercolor is such a release! From Einstein to Nikola Tesla, historical giants of math and science cited art and imagination as the key to their most powerful insights. Is Drawing the New Handwriting? Handwriting has proven neurological benefits, but is becoming obsolete. Drawing provides all those benefits and then some. Can Making Art with Your Kids Lead to Real Conversations? Creative expression naturally puts us in a more free, open, and vulnerable state. When kids and parents create together, connectons can be re-opened as if by magic. Are the Arts Essential to Your Brain Health? Modern research is now showing what practicing artists and art educators have known for decades. Struggling with mindfulness? One of the most effective tools to let go and get yourself into the present moment is drawing. PTSD and trauma perpetually locks fear and anxiety in our lower brain regions. Making art is proven to soothe those regions directly. Could Drawing Be an Alternative to Prescription Anxiety Drugs? 50 million Xanax prescriptions are issued each year, yet drawing has been proven to greatly improve emotional and impulse regulation. Margaret Welty was the creator and host of the educational television series Art, Creativity, & You, broadcast by Sacramento Educational Cable Consortium TV for eight years. 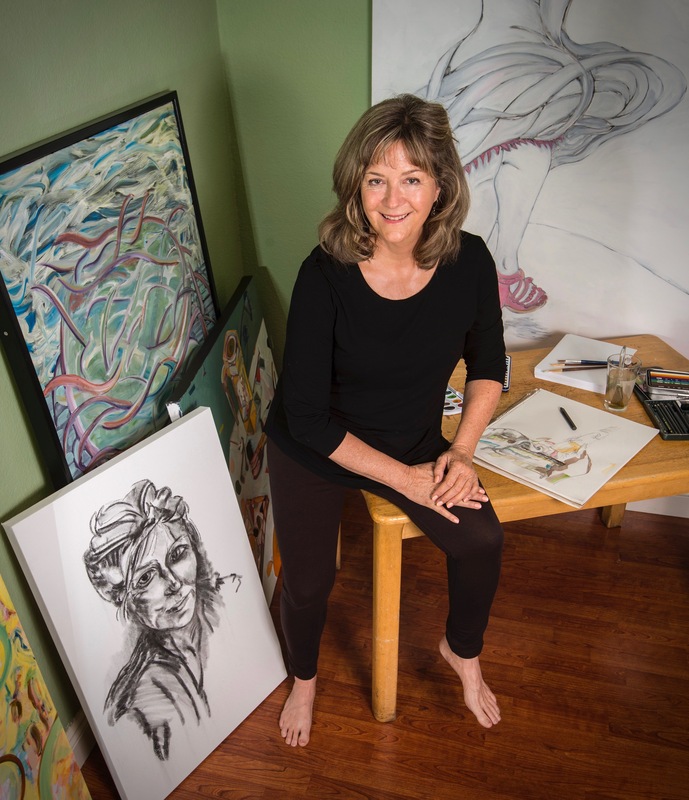 As an art professor at Folsom Lake College for 25+ years, she has taught thousands of artistically blocked adults and young people to draw, and to draw well. Margaret holds a BA and MA in studio art from California State Fullerton, with post graduate work in painting with Oliver Jackson at CSUS. 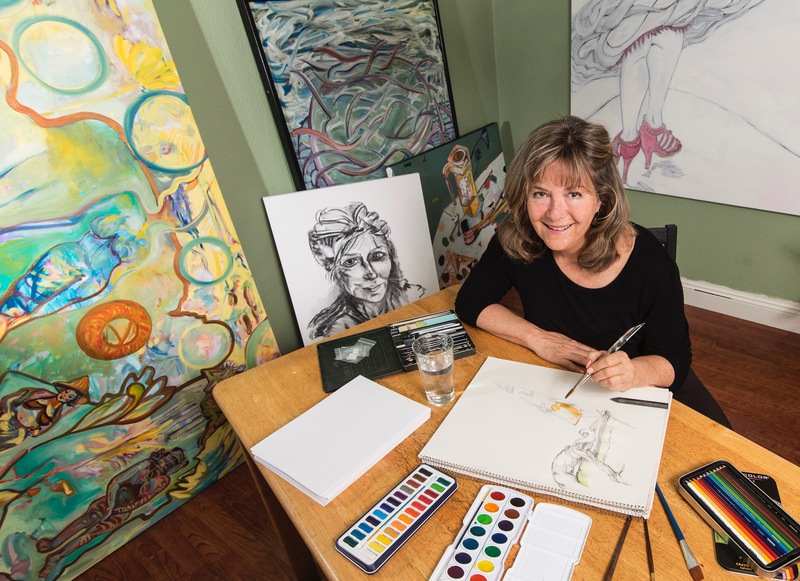 She has created site-specific commissioned art for Exxon, Raley’s Corporate Headquarters, Sheraton, Hyatt, San Bernardino County and many others. Get a fresh video in your inbox twice a month to help unlock your inner artist. * Your privacy will always be respected. Dave Middleton in sweet Sacramento, CA.